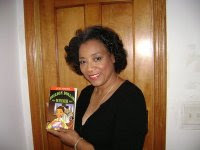 Arlene Jones - Featured Columnist Austin Weekly News: Damn, He was wrong, but it did work! A Gwinnett County man is in custody accused of slapping a stranger’s crying toddler in a Stone Mountain Wal-Mart on Monday. Sonya Mathews, the mother of the 2-year-old child, told police that both were walking in the aisles of the Rockbridge Road store when Roger Stephens, 61, approached and said “if you don’t shut that baby up, I will shut her up for you,” according to a police report. A few moments later, in another aisle, Stephens grabbed the 2-year-old and slapped her across the face four or five times, according to the report. Stephens then told Mathews, “See, I told you I would shut her up,” according to the report. A bystander held Stephens until store security came to assist, according to a WSB-TV report. When police arrived, Stephens said that he slapped the child and that he apologized to Mathews, according to the report. Stephens was charged with felony cruelty to children. He had his first court appearance Tuesday and is being held at the Gwinnett County Detention Center without bond, according to the Gwinnett Police Department spokesman Cpl. David Schiralli. The 2-year-old victim sustained slight redness to the face, according to the report. There was no video footage in the area the incident took place, according to the report. "Without bond?" My God, they give murderers bond. Look, I am not taking up for the idiot, but I've wanted to do the same thing a number of times. The difference is I have enough will power to not put my hands on someone else's child in a corrective manner. But without bond?